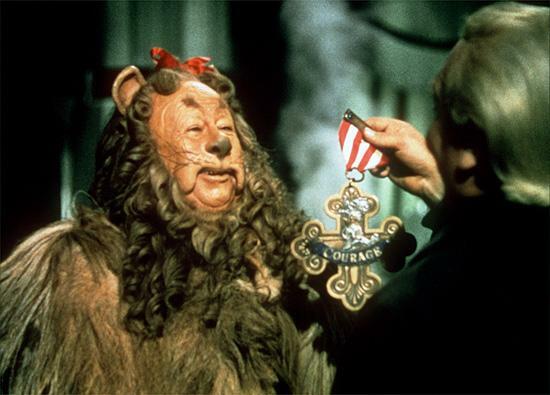 Courage …it takes guts to have it. :^) The cowardly lion so desired to have it. He felt intimidated by others. He was afraid of life’s challenges, so much so that he acted quite ridiculous. He did it so well he makes us smile. Nobody wants to live like him though. Who wants to be afraid of their own shadow? So when we see courage we take note and that is what we see the Apostle Paul in Acts 21. Paul had set his course of Jerusalem. He knew he needed to go there. He had plenty of opportunities to get off this track. They even came in the form of warnings. Even with all these warnings Paul goes up to Jerusalem. And that is courage to me. Paul faced squarely the difficulties before him and kept marching on. He knew his calling. He knew he must follow Christ’s direction. So he continues on to Jerusalem. It’s kind of interesting how Agabus came all the way from Judea to tell Paul through the Holy Spirit that he would suffer in Jerusalem. I think Paul knew that already, but it’s amazing how many prophets confirmed what Paul was hearing from the spirit…maybe even Paul needed to hear it from others. Why else would the Lord send Agabus…? Paul knew Gods will for him. He knew what these people told him was true, but he believed that was Gods will and chose to embrace it, not run from it. Oh that I could do that. I don’t think it is often that we don’t know Gods will for us, but that we don’t like it.